Soweto-born Thabang Mabapa who uses science to extract oil from castor oil seeds says that his project has the ability to replace fossil fuel and help to save South Africa’s energy crisis. Mabapa registered his own company, Selokong Sa Dimelana (SSD) which farms castor seeds and processes them to become castor oil and biodiesel. SSD was founded and secured 1000 hectares of land for castor seed farming. SSD uses marginal land to farm the seeds and sell their biodiesel mainly to farmers. They also sell cold-pressed castor oil, as consumers use it mostly for cosmetic application, which helps us keep our biodiesel business sustainable. Scientists from Brazil performed an experiment to optimize and investigate the biodiesel production from castor oil using microwave-assisted hybrid transesterfication process under various conditions such as microwave power, treatment time, ethanol:oil ratio and catalyst concentration (KOH). Results showed that under optimal conditions the predicted biodiesel production was found to be 95% with a desirability value of 0.998. Earth Gen-BioFuel has planned to promote the use of castor bean oil in the manufacture of biodiesel. It has planned to sponsor two international castor bean industry symposiums. The first symposium will be in the United States and the second is planned for Southeast Asia. EarthGen plans to expand its own castor bean farming beyond its Laos operation to develop and diversify its growing locations and harvesting dates. In addition to working with the Singapore based consulting group Gionesis, the company has been working with farm operations in Vietnam, Cambodia, Peru and Mexico. Researchers have performed a new method to produce biodiesel from castor oil. Transesterification of castor oil was performed using coconut oil as a co-reactant and MgO/SiO2 as heterogenous base catalyst. The catalyst was prepared from rice husk silica and magnesium nitrate by sol-gel method. Characteristic studies found that the use of coconut oil as a co-reactant significantly increased the conversion of castor oil to biodiesel. Recent study finds ferromagnetic zinc oxide nanocomposite as a suitable heterogeneous catalyst for biodiesel production from castor oil. The conventional method to produce biodiesel is basic transesterification using a homogeneous catalyst. But this process requires steps of neutralization and washing of the catalyst which increase biodiesel cost. Some heterogeneous and lipase catalysts are being developed to fight against some of these drawbacks. Now scientists from India have performed an experiment to synthesise biodiesel from castor oil using ferromagnetic zinc oxide nanocomposite as heterogenous catalyst. Results showed that ferromagnetic zinc oxide nanocomposite could help to achieve a biodiesel yield of 91% under milder reaction conditions. 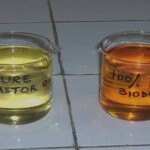 Recent study has found a new source of biodiesel from castor oil which has less viscosity than the original castor oil. 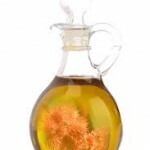 Castor oil cannot be used as such for biodiesel production due to its high viscosity. Hence scientists from Singapore have found an alternative method to produce low viscosity biodiesel from castor oil. 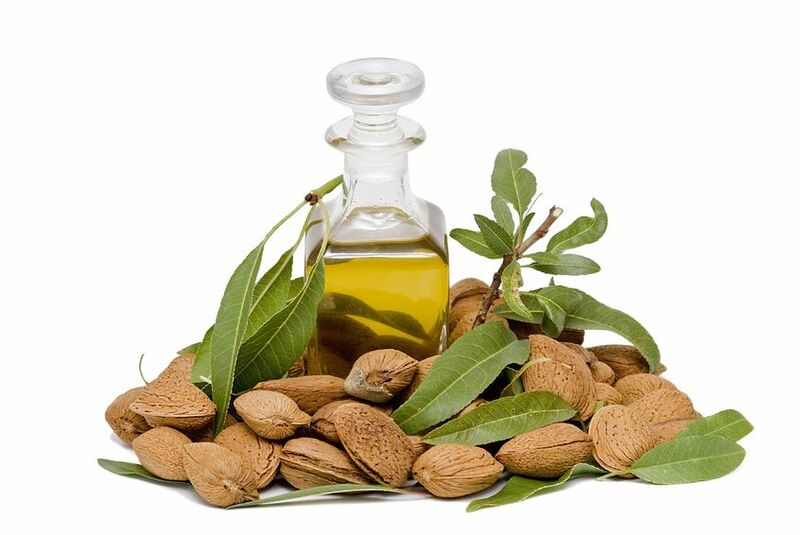 By chemical modification of ricinolein in castor oil and methyl Ricinoleate, new products called ketone-containing glycerides were obtained. These ketone containing triglycerides were used for the production of biodiesel. The biodiesel obtained by this method was found to have low viscosity. Thus, vehicles can now run with a fuel which has less viscosity. Scientists performed an experiment to understand the kinetics of transesterification of castor oil using Novozym 235. The genetic algorithm was employed for estimation of kinetic parameters in the Ping Pong kinetic model for different temperatures. Results showed that an acceptable agreement with experimental data was observed when biodiesel yields were predicted using temperature dependent parameters. Scientists from Mexico conducted an experiment to evaluate the seed and oil production, yield and quality of biodiesel produced from eleven wild genotypes of castor oil plant in Mexico. Seed and oil production was evaluated in experimental plots at field level and the quality of biodiesel produced was also evaluated. Results showed that the seed production varied between 937.1 kg/ha and 56.3 kg/ha indicating the feasibility to produce castor oil in the north-east region of Mexico. Quality tests conducted for biodiesel showed some potential for use blended with petroleum diesel. Scientists from Iran have developed a new method to produce biodiesel from cast or oil without using extra petrochemical methanol. The new method uses bio refinery setup where bioethanol is used instead of fossil-based methanol to produce biodiesel. Results showed that the optimum biodiesel yield was 85% achieved at a temperature of 62.5°C with an ethanol: oil ratio of 0.29:1. Researchers from Malaysia performed an experiment to analyse the efficiency of biodiesel conversion from crude castor oil to castor oil biodiesel. Acid-base catalysed transesterification reaction was carried out under different reaction conditions to obtain high yield of castor biodiesel. Diesel engine performance and emission tests with different castor biodiesel blends showed that B20 blend of castor biodiesel had same engine power output as other mineral diesel with lower average percentage of change in CO and HC emissions. Thus, B20 blend of castor biodiesel could be a suitable alternative to diesel. 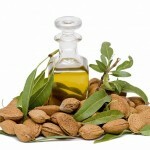 Wish to understand market potential of Castor Oil Derivatives? 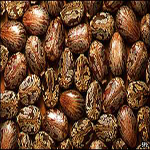 CastorOil.in ( http://www.castoroil.in/ ) provides comprehensive resources related to castor plant, castor bean, castor oil, castor derivatives & castor-based oleochemicals. In addition to details and resources, CastorOil.in also provides over five hundred web links to the various aspects of the castor crop and castor oil.